War Legend is our runner today as he runs at Bendigo in the heat of the Winter Championship. 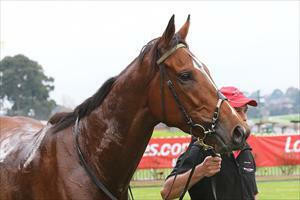 It is the third start this preparation for the five-year-old who finished unplaced at Flemington last start on May 19. The conditions are likely to be in the heavy range which Mike Moroney feels the son of Rip Van Winkle will be able to handle. “He disappointed at his last start for some reason we could not find but he’s working well and has pleased us since,” Moroney said. “We can’t fault his work or appearance so we’re just having to forgive the last run. James Winks will ride War Legend who will jump from barrier three in race eight.